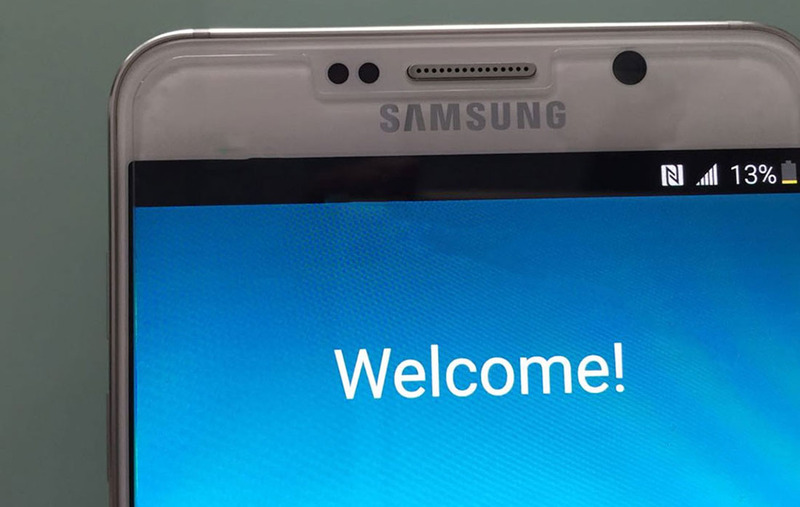 And Now We Have Galaxy Note 5 and Galaxy S6 Edge+ Pictures! The leak game is strong this week. After seeing photos of the OnePlus 2 and the Moto X (3rd gen), we now have photos allegedly of the new Samsung Galaxy Note 5 and Galaxy S6 Edge+. Their boot screens and potential size certainly lead us to believe that these are the devices we expect to see very soon. So other than the fact that we have pictures of each phone, have we learned anything new? Not really, no. This is about what we expected from these two phones. One of the photos of the S6 Edge+ shows a model number of SM-G928A, which we talked about as being the AT&T version of the phone. That’s really it in terms of new info. Still, photos! With the Galaxy Note 5 photos, we see a phone that looks a lot like previous Notes, only with a glossier, Galaxy S6-like shine. I think it’s safe to assume that the Note 5 will be a mostly-bigger Galaxy S6 with a new S Pen. As for the Galaxy S6 Edge+…it’s a big Galaxy S6 Edge. This is one of those “We made it bigger because big.” type of things. Thoughts? Note lovers – this has to get you somewhat excited, right?